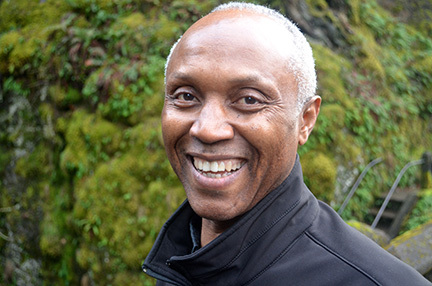 “In the midst of life, we are in death.” The unexpected and sudden demise of Nze Daniel Chukwuemeka Orji aptly confirmed the truth of the quote above taken from the Episcopal Book of Common Prayer. In the language of literature, arts and music, Dan Orji (as he was popularly and widely known and called), was a great classical musician. The beauty of his works and the wisdom expressed in them have continued to hold out massive appeal to people of different ages and in differen t countries. People of all ages that have tasted the lyrics and music of his songs have continued to want to read or hear them over and over again. 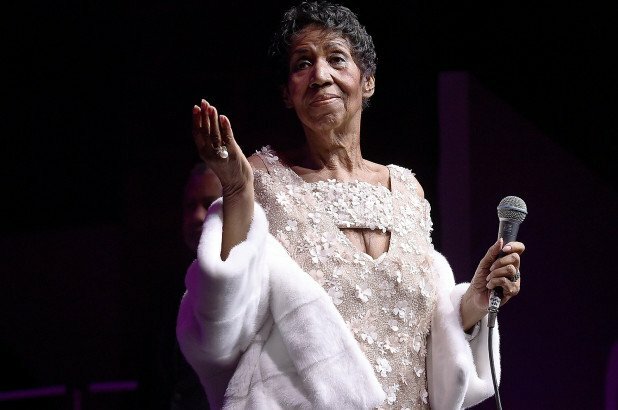 They never seem to get tired of discovering new beauties and new truths in the works of this artful musician, insightful composer, versatile arranger and inimitable vocalist. Born on December 6, 1945 to Maazi Joseph Chima Orji and Orihe Cecilia Nwachi Orji at Aro-Orji, Urata, Owerri North Local Government area of Imo State of Nigeria, Danny was educated in Orji Town Primary School where he manifested great musical talent by singing at social events around Owerri. 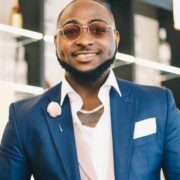 He had his Secondary education at the prestigious Saint Patrick’s College, Ikot Ansa, Calabar, where he played meritoriously in the College Band. At the end of the Nigeria/Biafra war in 1970, he played a major role in the founding of the famous Peacocks International Guitar Band. It was while with Peacocks that he produced some of his greatest hits, including the ever popular and classical SAMBOLA MAMA, which earned a gold, and sold more records in Ghana than in Nigeria, demonstrating the wide appeal of his compositions, a further proof of the truism that music knows no boundaries, as well as the English saying that ‘ good wine needs no bush’( which translates into Igbo as ahia oma na ere onweya). When the Peacocks International Guitar Band disbanded, he founded the Skylarks Universal Band of Nigeria in 1976. 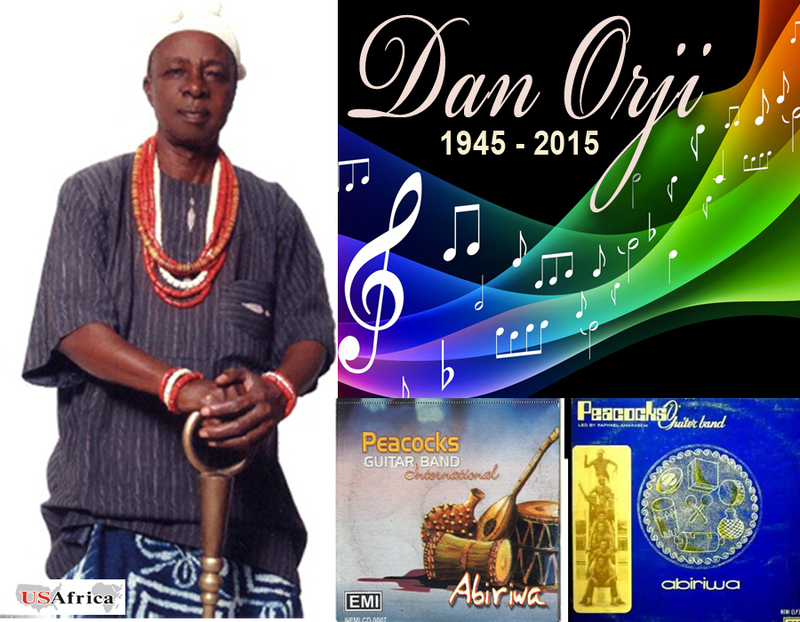 Nze Dan Orji’s abundant natural musical endowment was inherited from his mother, who was a good singer, and his maternal uncle, late J. U. Kamalu of Umuonyeche, Owere(which the British called Owerri), who played the Accordion with great skill. Danny’s natural musical endowment was enhanced by his incredible capacity for hard work that is easier imagined than described. Little wonder that he produced such classical masterpieces and dominated the music scene for more than four decades. Danny had a large and generous heart and was always quick to forgive. Although his works have been severally plagiarized, he never exercised his rights under the existing Copyright Laws to sue for compensation. Rather, he would chuckle and say that those artists may continue to plagiarise his work if that would make them survive in life. What good spirit ! What bonhomie ! Danny was a good family man, a great family builder, who would resist any temptation to compromise the peace and progress of the Orji Chima family of which he was a proud member. His talent was not restricted to music alone; he was also an accomplished builder; and this was not surprising because architecture has been defined metaphorically as ‘FROZEN MUSIC.’ Danny was also a committed farmer. Indeed, he was a versatile talent who excelled in whatever he focused his interest and attention. Full of initiative and drive, Danny had the capacity to carry anything before him. 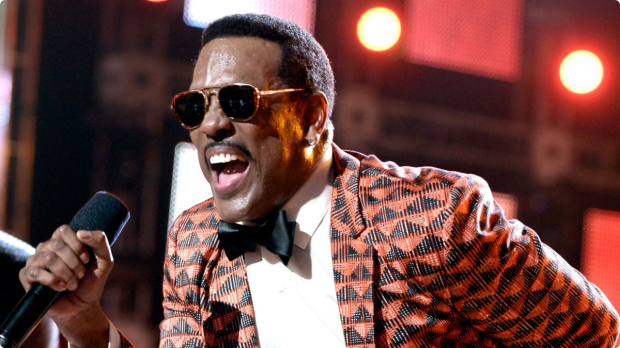 During his lifetime, Danny was conferred with a lot of accolades. He was made an Nze with the title Aku Jeshiobi ike of Orji. During the interregnum that followed the demise of the first Eze of the Orji Autonomous Community, Nze Dan Orji served as the Vice Chairman of the Orji Regency Council. The Arochukwu Kingdom conferred its highest honour, namely, Ugwu Aro, on him. And until his death, Nze Dan Orji was serving his second term as Chairman of the Aro-Orji village meeting. We shall all miss Danny’s wisdom which was ever spiced with humour and profound imagery. The more you saw Danny, the more you admired him; the better you knew him the greater you valued his friendship. He had the knack for knowing peoples great needs and when they needed them most. In concluding, I seek understanding; and if I appear to write with the affection of a brother, I am just one of a large number. Danny did not live long. He did not reach the biblical age of three scores and ten (indeed, he was to have been 70 years old on December 6, 2015!). But we are consoled by the fact that it is more important to live well than to live long. The quality of life lived takes precedence over its length, for life is a matter of art rather than mere duration. “Life is not a matter of counting years. It is a matter of making years count.” Danny did make his years count in blessing. Although we shall miss Danny physically, he will continue to live in the memories of all those he has left behind. Thank you for sharing our moment with us. Shalom. Can sniffer dogs save elephants? Hello friends,i am Laura Albert from USA,i want to thank God for directing my path to a great spell caster when i needed help to fix my home that was at breaking point,my husband suddenly begin to act strange after a couple of years in marriage,he was angry with me and the kids unnecessarily without little or no provocation,this was a real surprise to me and the kids,this began to grow worse when he decided to pack out of our matrimony home for frivolous reasons,words can not express how i felt,we were devastated,i never known my husband had a date outside our wedlock until i visited him in his new apartment and caught him with another woman,he told me he is not coming back to us that he now loves another woman,i consulted a spell caster via Email: CANDOVALOVESPELL@GMAIL.COM and Call or Whatsapp:(+234)8131612153,he cast a spell for me and within a week my husband came back to me and the kids,my family is now reunited with the help of Dr Candova,thank you sir. Hello friends, an awesome and amazing testimony about a Great spell caster i really love to share. My name is Tom Kelvin from the United States. Getting my wife back is what i least expected and could never imagine. I and my wife have been married for Six years and we have been living happily but all of a sudden she changed completely and turned away from me and i never knew what was going on, i tried to ask her but she refused to tell me what the problem is, and as time went on she sought for a divorce. I was so worried and confused, and i did all my possible best to get her back but it wasn't easy, i thought all hope was lost, and during my search for a way out, a friend of mine who had similar problem told me about a great spell caster called DR OGUMEN who helped him get back his wife also. I never believe in spell casting in my entire life or a magic because i never thought it will work but i tried to give this man a chance and to my greatest surprise, He cast a spell on me but today we are back together into a lovely home with three beautiful kids. We are happy together again and i am using this opportunity to tell anyone passing similar situation to contact him on ogumenspelltemple@gmail.com and you will be the next to tell a new testimony. am Jessy from Canada, When I eventually found testimonies about this spell caster Dr OGUMEN, how he helped many people to get their lovers and broken homes back, i contacted him through his email address ogumenspelltemple@gmail.com because my boyfriend whom i really love with all my heart and also love me too, but suddenly change and turned his back on me and hated me with passion I was absolutely desperate to get my boyfriend back. Life without my boyfriend was a real mess for me and my parent I wanted a dramatic change and I thought magic could be the solution. After discussing the resolution with DR OGUMEN, he gave me hope that he will restore my relationship back because he already engaged me. I felt confident that he will actually make my boyfriend to return home and he did! It’s fantastic what this great spell caster have done for me, I don't know what I would have done without DR OGUMEN. Did His job so well he is organized and highly functional, i believe he is the best spell caster i can count on when it comes to all kinds of spell, I was floored that his spells worked, if you need help, contact he via email: ogumenspelltemple@gmail.com I assure you things will turn around for you..
My Name Is Victor Eva Am From Uk, I never believed in a spell casting but After 6 years of dating my ex lover, I still imagine how Dr Jatto brought my ex lover back to me in just 24 hour. No one could have ever made me believe that there is a real spell caster that really work.I want to quickly tell the world that there is a real on line spell caster that is powerful and genuine, His name is Dr Jatto, He helped me recently to reunite my relationship with my ex lover who left me, When i contacted Dr Jatto he cast a love spell for me and my ex lover who said he doesn't have anything to do with me again called me and started begging me. he is back now with so much love and caring. today i am glad to let you all know that this spell caster have the powers of bring lovers back. because i am now happy with my lover,and the most surprise,is that our love is very strong,every day is happiness and joy. and there is nothing like been with the man you love.i am so happy my love is back to me with the help of Dr.Jatto if you have similar problem i will advice you to contact him ,he is there to help you and put a smile on your face ask he did to me and others. his email:drjattolovespelltemple@gmail.com or drjattolovespelltemple@yahoo.co.uk or call him through his mobile number: +2347050270268 or contact him directly through his website: http://drjattolovespelltemple.webs.com/……..
My Name Is Victor Eva Am From Uk, I never believed in a spell casting but After 6 years of dating my ex lover, I still imagine how Dr Jatto brought my ex lover back to me in just 24 hour. No one could have ever made me believe that there is a real spell caster that really work.I want to quickly tell the world that there is a real on line spell caster that is powerful and genuine, His name is Dr Jatto, He helped me recently to reunite my relationship with my ex lover who left me, When i contacted Dr Jatto he cast a love spell for me and my ex lover who said he doesn't have anything to do with me again called me and started begging me. he is back now with so much love and caring. today i am glad to let you all know that this spell caster have the powers of bring lovers back. because i am now happy with my lover,and the most surprise,is that our love is very strong,every day is happiness and joy. and there is nothing like been with the man you love.i am so happy my love is back to me with the help of Dr.Jatto if you have similar problem i will advice you to contact him ,he is there to help you and put a smile on your face ask he did to me and others. his email:drjattolovespelltemple@gmail.com or drjattolovespelltemple@yahoo.co.uk or call him through his mobile number: +2347050270268 or contact him directly through his website: http://drjattolovespelltemple.webs.com/.. I am very happy for what God has done by using (Dr. Ogala) the great spell caster to do wonders in my life. My name is Jeremy Michel i had a fight with my wife in the past, which led to a breakup. I tried all i could to make her come back but she refuse and said it was over between us, one day i came across a testimony on the internet on how (Dr. Ogala)used his spell to reunite two lovers so i decided to contact (Dr. Ogala) via email and He assured me that my wife will come back to me within 12 to 16 hours after he has finish the preparation of the white magic spell.I am very glade today to tell the world that (Dr. Ogala) is truly a man of his words because my wife came back to me and went down on her knees begging me to forgive her and accept her back.if you have a problem you should also contact (Dr. Ogala) today via his email: Holyspellcast@hotmail.com or Holyspellcast@yahoo.com.or through his website:http://holyspellcast.wix.com/holyspellcast and you can also call him +2348039456308 THANKS..
Hello Greetings to everyone, I am Mrs. DAN TRACY From California, after Five years of marriage, My Husband divorces me off no reason, I cried all through and try all the possible best I could to make everything work out for good and to get him back but to no avail, I was confused and frustrated until I crossed a site of Dr.Adudu, I read everything completely on the site, it was talking about Love spells and reunion marriage spells and different types of spells, I was more confused on what to do because I don't believe on spell casters mostly on Love spells, though I decided to give a try out, I contacted DR Adudu and explained everything completely to her on what I am passing through to my own greatest surprise, Dr. Adudu told me that my husband is going to call me back to come home after three days she has finished casted the spell. I have believed on her and so surprising really my husband calls me back home and ask for forgiveness and he promised to Love me only and forever be with me only. All great thanks to Dr.Adudu for her marvelous spell work, contact her today by her email:DRADUDUSPELLTEMPLE@GMAIL.COM or you can call him weti this number, +2347050270268…..
Hello Greetings to everyone, I am Mrs. DAN TRACY From California, after Five years of marriage, My Husband divorces me off no reason, I cried all through and try all the possible best I could to make everything work out for good and to get him back but to no avail, I was confused and frustrated until I crossed a site of Dr.Adudu, I read everything completely on the site, it was talking about Love spells and reunion marriage spells and different types of spells, I was more confused on what to do because I don't believe on spell casters mostly on Love spells, though I decided to give a try out, I contacted DR Adudu and explained everything completely to her on what I am passing through to my own greatest surprise, Dr. Adudu told me that my husband is going to call me back to come home after three days she has finished casted the spell. I have believed on her and so surprising really my husband calls me back home and ask for forgiveness and he promised to Love me only and forever be with me only. All great thanks to Dr.Adudu for her marvelous spell work, contact her today by her email:DRADUDUSPELLTEMPLE@GMAIL.COM or you can call him weti this number, +2347050270268. (Dan Orji & Ralph Amarabem, two voices behind Peacocks) Dani nnemi lee, … onye oma nwa njemanze. May your soul rest in peace! Ndaa Dan, May your gentle soul rest in peace. Amen! 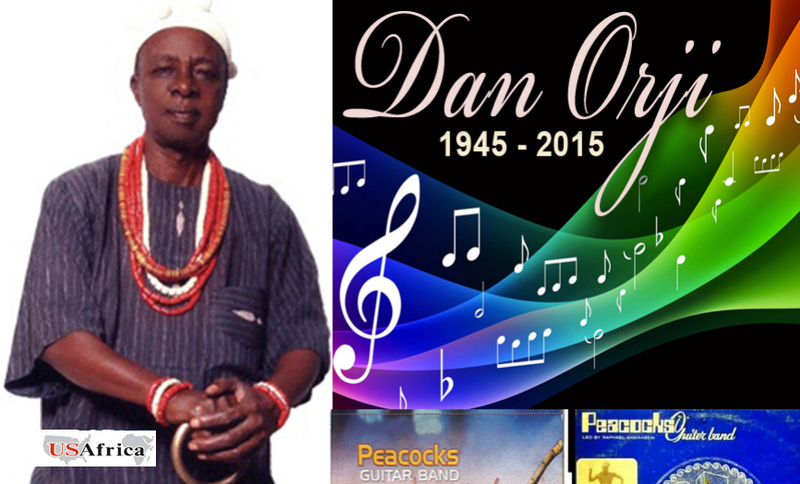 Dan Orji joins the list of departed musical greats from the glorious years of Nigerian high life music. He was a true gem– an original, inventive vocal/musical talent who helped define the unique high life sounds of Peakock International with a catalogue of remarkable hits to their credit. Dan Orji will be greatly missed. A musical genius. He’ll be missed. May he rest in peace. Onye omere ya dibe, Ndidi ka mma! legends of yester years…i reflect and imagine seing live once more their permances…celestine obiakor[daddy obi]. @ owerri too. Nze dan RIP. Ezi nwa Aro okigbo.